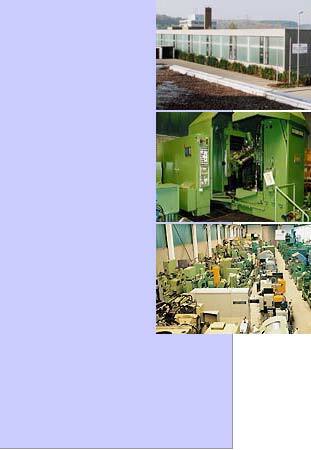 Including: Lathes, Milling Machines, Grinding Machines, Drilling and Boring Machines, Gear Machines (our speciality), Presses, Saws, Wire Machines, Welding Machines, Testing and Measuring Machines, NC & CNC Machines, Special Purpose Machines and Rotary Transfer Machines, EDM- Spark Erosion Machines and Complete Production Lines ex Site. We always stock more than 500 top quality machines in a warehouse area of more than 10,000 m². Please browse though our online databank and send us your choice of machines. Your enquiry will be answered immediately with detailed quotations. We are always looking for good, used machines. If you have any German or Swiss brands for sale, especially gear machines, we would be happy to receive your offers. Please let us know the manufacturer, model, year, serial no., accessories, price, etc., and send us a picture if possible. We promise to give you a quick reaction. If the machine is suitable, we can arrange for immediate inspection, payment, and pick-up. We hope to hear from you soon, either by e-mail, or personally.